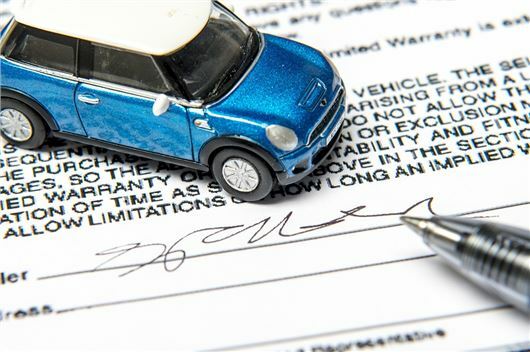 Is December the most expensive month to insure a car? December is the most expensive month for car insurance, with drivers paying £85 more for fully comprehensive cover, according to new research. Motorists taking out a comprehensive policy in December pay an average of 18 per cent more than those who insure just two months later in February, with the price hike being blamed on drivers leaving their insurance renewal until the last minute. "People buying a car often wait until December to secure a bargain as dealers look to shift stock before the end of the year, but it comes with the downside that it’s the most expensive time of year to buy insurance," said Tom Flack, editor-in-chief at MoneySuperMarket.com. MoneySuperMarket analysed over six million car insurance quotes between 2013 and 2018 and found that an average fully comprehensive policy taken out in February cost £476, whereas those who insured just two months earlier, in December, paid an average of £561. The comparison website also claims that the price of fully comprehensive insurance has increased by £59 (13 per cent) over the past five years, from £457 in January 2013 to £515 in October 2018. However, the Association of British Insurers (ABI) says the research is potentially unreliable as it's not based on actual premiums. A spokesperson for the ABI told HonestJohn.co.uk: "It is important to note that comparison website data is always based on quotes rather than actual premiums. "Our motor premiums tracker provides an average of what people are actually paying. For example, the tracker showed the average premium paid in quarter four of 2017 was £495 and £465 in the same period of 2016. "The Motor insurance market is incredibly competitive and prices are determined by the market, demand, risk factors and every insurer has their own unique way of measuring risk." I bought my car as an effective pre-owned, but really a new car via a car supermarket (only 15 miles on the clock) back when there was over-supply in the European market and saved myself nearly 30% on the effective list price (the trim/spec level was in between two UK models), a saving of over £3k back in Dec 2005 (registered and insurance update in early Jan 2006 though when it was delivered). I find it's far better just to ammend your insurance when you replace a car and then re-insure at a cheaper time of the year, which does mean using the screen scraper websites/independents to check at different times of the year to see how it varies for your circumstances, negating any special deals that might affect things. Rubbish. I have just renewed mi Piccanto insurance at less than last year. £169 fully comp self and wife with no vol excess. protected NCB through Halifax. Cannot grumble.